Holograms cannot be duplicated by any known printing techniques. Cannot be scanned or electronically transmitted. Simple to verify in the field with the naked eye when compared against a known genuine reference hologram – without any complex equipment. Counterfeiters find it almost impossible to copy holograms. 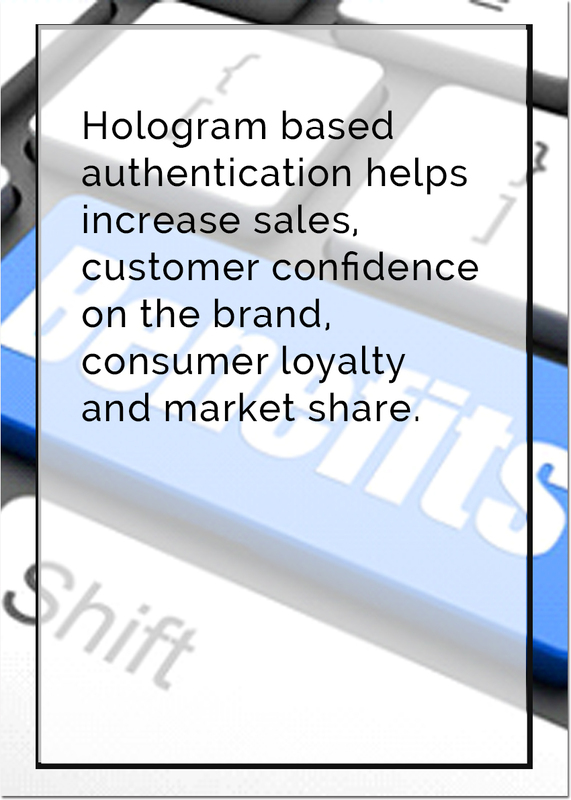 Holograms are the most successful and cost-effective anti-counterfeit technology to combat counterfeiting. Looks distinctively different and adds value. Proven high returns on investment. solution that will provide lasting protection. Cannot be copied or duplicated. Cannot be tampered or re-used. Can be easily applied to the product or documents. Easily verifiable by the user. Holotechs simplicity in approach is the guiding factor that provides optimal solutions in the following areas. Our most modern mastering techniques make it virtually impossible for any kind of duplication. Our flexible approach enables us to design system solutions that can be easily modified to effectively operate to meet the changing demands and environments.